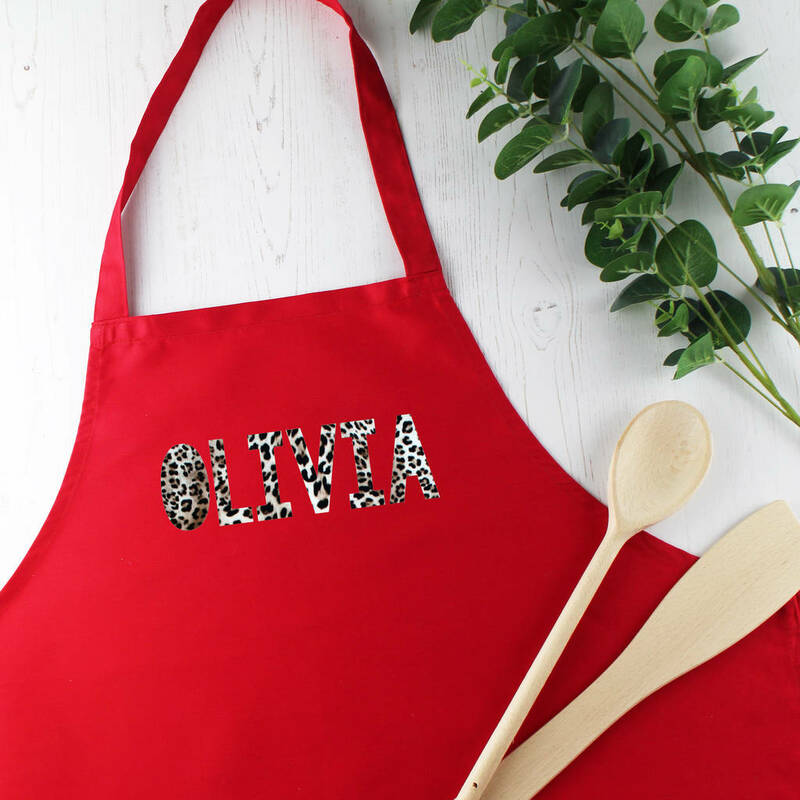 A stylish personalised ladies apron featuring a name in modern Leopard Print. This premium quality apron is personalised to create the perfect gift for her. This exclusive apron is created from a hardwearing cotton blend. 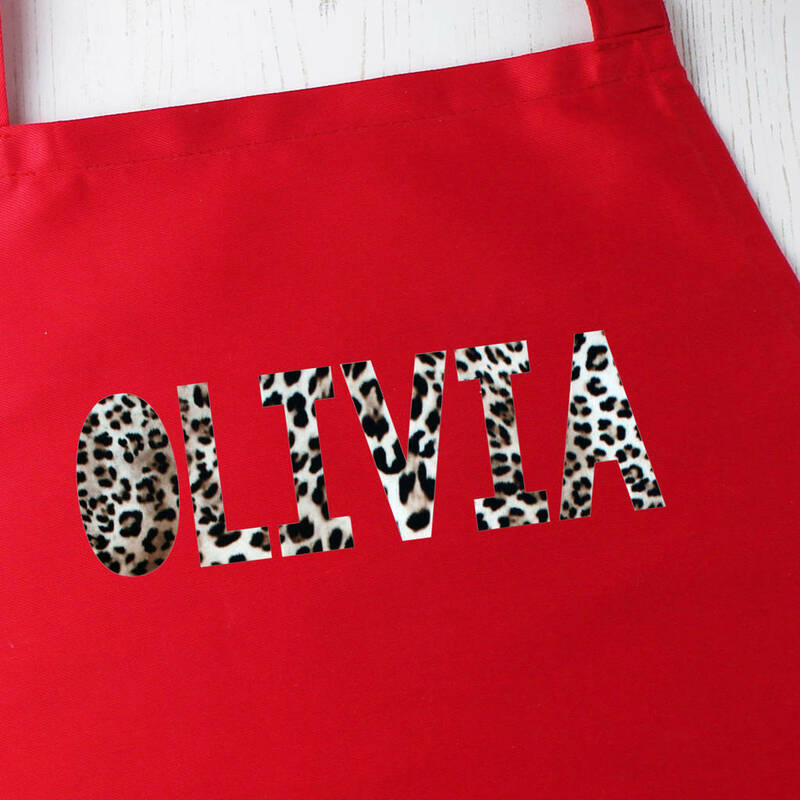 Your choice of name if professionally printed in our studio in stylish leopard print. Animal print is the biggest trend of the year and it's set to continue for some time! Our aprons are hard wearing and machine washable.